To ensure safety on the roads, VOSA (Vehicle & Operator Services Agency) and the law demand that every vehicle has an annual MOT test. Everyone who uses a vehicle on the road must keep it in a roadworthy condition. MOT testing verifies whether vehicles meet road safety and environmental standards. It is required for vehicles that are three years or older. MOT testing confirms that at that point in time, without dismantling it, the vehicle met the minimum acceptable environmental and road safety standards required by law. A standardised list of checks are performed during an MOT test in order to establish the condition of the vehicle. This includes checking the car tyres, the seatbelts, headlights and more. A pass does not mean that your vehicle will be roadworthy for the duration of the certificate's validity. As an example, tyres can be worn down and go bold in a number of weeks, if incorrectly fitted. The MOT certificate is also no guarantee of the general mechanical condition of your vehicle as the test doesn't cover the condition of the clutch, gearbox or engine. Upon completion, all MOT testing results are entered on to a secure central database. You will then receive either an MOT pass certificate (A4 sized document) or a notification of failure. The certificate is your receipt for the test and shows the information that's held on the database. You'll also be given an advisory notice for any recommended repairs for the vehicle at the time of the test. The certificate is no longer proof of an MOT and shouldn't be relied on as such. 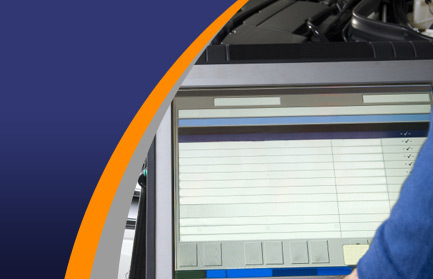 Only the computer records updated by the MOT test centre can prove a vehicle has a valid, in order MOT. To make a booking at our MOT test centre, or to enquire for prices or additional information, please call us on 01522 899 943. £5 off all service prices when you book an MOT at the same time.